The Cosmopolitan Images of the city has to be maintained as it was before. In the previous post, we have tried to see some confusions that rotates around what constitutes special interest of Oromia state in Addis Ababa and other related issues. In this part also, we will continue to see some issues related with special interest of Oromia state in Addis Ababa that is going to be determined by the draft proclamation. The other part of this draft proclamation that needs special attention is art 5. This art talks about the provision of health service and say that the residents who lives in the urban and rural areas of the special zone have the right to access to health service provided by governmental hospital and other health center as anyone in the city. Let us think of something in this regard. For one thing, this article says that the residents of urban and rural area of special zone have the right to access to health service provided by government hospital and other health center. The right to access to health services as indicated in this draft proclamation limited not only to the descendants of Oromo nation rather, it includes non-Oromo descendants who resides in the area. Because art 5 of the draft proclamation simply says that the “residents” of the area which is obvious to anyone. My concern in this regard is not why other non-Oromo residents are afforded with this right. Because, having access to health service is human right and shall not be denied on any ground. There is no any legal and moral justification to deny it. Rather the issue is that how it could be special interest of Oromia state. For one thing, this draft proclamation is designed to determine special interest of Oromo descendants on Addis Ababa. Nevertheless, in the provision that talks about the right to access to health, there is indication that this right is only limited to Oromo broods in the area. Rather the provision is all-inclusive. The clear construction of the provision show that the right to access to health services in the city is to all residents of the area and not only to the pro-genies of Oromo. If the purpose is to preserve the interest of all residents in the area, it may be correct and no question at all. Nevertheless, if it is to preserve the special interest of Oromo offspring in the area, how could it be since the provision is all-inclusive? Bear in mind that again the question is not why this right includes all residents including non-Oromo residents, rather how could it be the special interest of Oromo. The other issue in this regard is that the right to access to health service provided in the city is limited only to governmental health center. It does not indicate private one. What do you think the fate of this right as far as private health centers is concerned? Does this indicate that they have no the right to access to private health centers? If this the case, how do you see the right to access health service provided by government or private organs as recognized in different international human right instruments to some of which Ethiopia is party. For the other things, how the right access to health service is special interest? For instance article 25 of UDHR to which Ethiopia is party, clearly provides that “everyone has the right to a standard of living adequate for health and well-being of himself and his family…………and medical care…” The right to health is again recognized in ICESCR. Moreover, this covenant under its Art 12 imposes obligation on the state party to recognize the enjoyment of the highest attainable standards of physical and mental health and to take necessary step to achieve the full realization of this right to the extent the resource of the country permit. Various international and regional human right instruments also recognized this right. One interesting thing at this juncture is that Ethiopia ratified many of these human right instruments and they have force of application in Ethiopia. (Read art 9(4) and art 13(2) of FDRE constitution). With the same tone of speech, FDRE constitution under art 90(1) imposes obligation on Federal and regional governments (read art 85(2)) to design the policies that shall aim to provide all Ethiopians access to public health ………..to the extent the country’s resources permit. The reading of the above various legal provisions and discussion display for us two important things. One, the right to have access to health is human right. Nothing in different international and regional human right instruments including FDRE constitution indicates that right to health is special interest. Rather, all these human right instruments recognized it as human right. The other important messages of these human right instruments and discussion is that it is of the governments obligation to recognizes this right and takes necessary step to achieve the full realization of this right. This obligation is imposed on Ethiopian government via ratified international human right instruments and art 90(1) of FDRE constitution. In nutshell, the forgoing discussion show that the right to access to health service is human right and not special interest as designed to be determined by draft proclamation. Thus, let alone Oromo nationals who has special interest in Addis Ababa city, even non-Oromo national have right even in the other part of the country without any discrimination. So how this could be special interest of Oromia? Do we have legal and moral justification to say that? To the best of my understanding, we do not have any legal and moral justification to claim in such a way. N.B. This writing is personal opinion and is open for discussion and comment. Recently Ethiopian government is going to enact proclamation that determine special interest of Oromia in Addis Ababa. Nevertheless, this draft law from the very enactment faced confrontation and challenges from different individuals and stakeholders. I myself personally feel doubt as to what special interest of Oromia this proclamation going to determine. Art 49(5) of FDRE constitution by taking the fact that Addis Ababa is located at the center of Oromia, provides that, special interest of state Oromia as far as provision of social services, or utilization natural resources and other similar matter as well as joint administration is concerned shall be respected. One may ask here that what special interest constitution refer. In this regard, constitution itself has no answer. Stated otherwise, it does not define what special interest mean? Or what constitute special interest. When and how do this special interest to be implemented. It simply list down the area up on which state of Oromia has special interest. What we must take into consideration is that the lists are not open-ended. In other word they illustrative. As per the phrasing of the constitution, there are some area of special interest apart from the listed one. Constitution in this aspect left open door so that the aforementioned question and related issues to be determined by law. After long years of panting of this special interest, draft proclamation is currently on the process to determine this special interest of Oromia in Addis Ababa. The question in this regard is that does what the constitution phrased as special interests are really special interest or rights? After all, if they are interest, what make them special interest or if not, why they are coined as special interest? Below are some reflection on the draft proclamation whether what draft proclamation derives from the constitutional provision as special interest are really special interest or not. Let us fist start from the definition part of the draft proclamation itself. Like that of the constitution, draft proclamation does not define what special interest is. It simply reiterate what is already provided in the constitution. Under its art 2(4), it says that special interest mean the one that is recognized by the constitution such as provision of social services, or utilization natural resources and other similar matter as well as joint administration. Nothing is new in this draft proclamation as far as what special interest is concerned. Bear in mind that these are not special interest; rather they are the area up on which state of Oromia has special interests. The other issue in the definition part is art 2(5). This part says, “Descendant of Oromo means it includes all the residents of Addis Ababa and peri-of the city. As far as the peri- of the city is concerned, art 2(7) of the draft proclamation says that, peri of the city means special zone around Addis Ababa. Thus, as per this draft proclamation the descendant of Oromo’s are those who are the residents of Addis Ababa and of special zone around Addis Ababa. What about others who resides far from the city like Borana, Guji……… and the like. Do you think they are not the descendants of Oromo? What do you the impact of this definition? At least theoretically speaking, let me discuss it below. First, let us step to the content of the draft proclamation. Does learning by one’s own language is special interest or fundamental right. Who are the descendants of Oromo nation have the right learn in Afan Oromo in the city administration? As far as the first question is concerned, to my best knowledge, learning by one’s own language is not special interest rather, it fundamental right. In this regard, leave alone international human right instruments our country ratified, the constitution itself under art 39(2) clearly stipulate that “Every Nation, Nationality and People in Ethiopia has the right to speak, to write and to develop its own language; to express, to develop and to promote its culture; and to preserve its history”. The concern in this regard is that, does the right to develop one’s own language bear fruit without learning by that language. Promoting and developing one’s own language presuppose learning by that language. Thus, making the language the instructional language is the soul of the right to develop one’s own language that is fundamental one. Since, Oromo nation is one of the holder of this right I didn’t see any legal and moral justification that make this special interest. As far as the second question is concerned we have already seen that the descents of Oromo are the one who lives in the city and special zone of the city as per art 2(4) and (7) of the draft proclamation. Thus, it is only the residents of the city and special zone have the right to learn in Affan Oromo schools to be opened. Because, art 4 of the draft proclamation says that the descendants of Oromo (those who live in the city and special zone) has the right to learn in Affan Oromo School to be opened in the city by Affan Oromo. What any lay man who read this provision grasp? Theoretically speaking does this article empowered the descendants of Oromo lives far from the city and special zone? N.B this writing is personal opinion and is open for discussion and comment. Since the last plenty of years, some nihilist bloggers, cadres, bandits and other remnants have fiercely been striving a lot to deny each and every incidents of truthful tyranny of what have been happening in our country like Ethiopia. They are born without having a good temperament about their country. Bastardization of politics is their ultimate gloomy tactics in order to create a conflict among the people who have a long historically togetherness and cooperation’s. Nihilists, in whatever circumstances and positions they are, uses their intellectual efforts against the existence of state. This is to mean that the bundle of nihilist don’t want to maintain the unity of the country and they don’t have any experience of bringing people together. As my little puppy, frequently exhaust their time for sniffing the fleshy differences of our people. If people are living together by tolerating their differences, they could become anger and disappointed. Nothing better than conflict and discontent for the nihilist. Ethiopians are in need of national peace, unity and consensus even though they have been baring for the nihilist veiled and disgusted agendas. 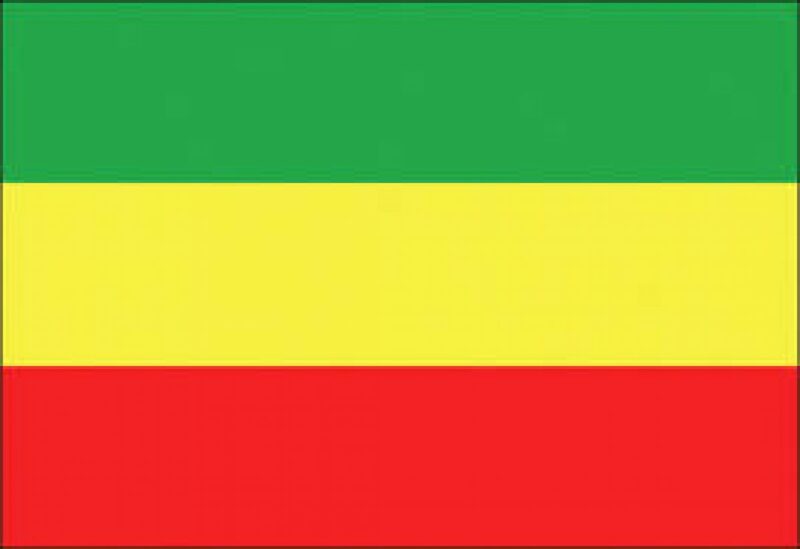 Most significantly, there is a brand motto that consolidate the existence of Ethiopia as a state and maintain the braveness of its people i.e. “United we stand, divided we fall”. Please, our brothers and sisters, more than ever, we need to maintain our unity and stand together by avoiding those microbes (Nihilist) from our body. Since the last plenty of 25 years, we Ethiopians are under a chronic poverty and misery. What make things so worth because we are leading our life with a tyrannical regime. This tyrannical regime is highly engaged in suppressing the people’s grievance and voices unreasonably. The regime reacted for the people’s grievances by using a barrel of gun and his troops and intelligence officials. We know perfectly that EPRDF came to power by a violent struggle and at the earliest stage of their power the regime promised and pledged to the people of Ethiopia to realize democracy, freedom, justice, development and so forth. But today they expressly broke what they have promised to the people of Ethiopia. Poverty, lack of good governance, democratic institution alien for the concept of democracy, no development, lack of good social amenities and welfare’s, no freedom of expression, income inequality, corruption, oppression, mass killing, instability, lack of trust on the existing government and etc are the most prevalent and rampant problems in Ethiopia right now. Peoples are yet shouting their voices even by marching to the street and even by making a large rally on the street. The government has failure to address the peoples questions at hand rather the government is highly exhausts it’s time to shut up the peoples mouth by his troops and militias. Since the Oromo’s made a first mass protest and rally on the master plan of Addis Ababa, still there is a mass protests and rally against the regimes across the country regarding different issues. There is a mass protest in Gonder with respect to Kemant and Wolkaite-Tegede self-rule or self administration questions. The same questions are yet raised in SNNPR regional states, Konso’s self-administration question. In oromia yet a number of peoples are yet spends their time on the street to oppose government’s mass killings against the innocent Oromo’s individual. The government does not have a commitment and willing to avert the problems so far rather than shooting the peoples by a gun illegally at the expense of sustaining its power. Since the last plenty of months many innocent individuals across the country have been killed, wounded fatally and lose their body by the regime’s forces unlawfully. Many of them are yet throwing to jail in the name of fabricated terrorism crime. Hence, we Ethiopians, as a citizen we should have to strive a lot to discuss and make a deliberation on the issues as well in order to protect Ethiopia from disintegration and so as to protect the peoples from mass government killings and oppression. Even the tyrannical regime should have to take a political commitment to create a national consensus among the whole peoples of Ethiopia. we should have to take a lesson from the then regime’s horrific acts and measures. SABIAN NET ASPIRANT Blog at WordPress.com.